At Perago-Wales we believe that to go forward you sometimes need to step back. Not in time or out of circulation, just to take stock, rethink and find the focus that allows you to push forward again. Our approach is all about helping organisations take stock, understand what their users, both internal and external, need and then providing a roadmap for delivery of change. Transforming through digital, using agile delivery techniques and user centered design to really deliver sustainable change can be fast paced and full on. We are always looking for opportunities to reflect, share our learning, hear from others about what works and what doesn’t and celebrate success with the teams we work with. That’s why we’re getting unplugged this September and joining the team at CommsUnplugged for two days of learning, sharing and networking. We’re really excited to be official sponsors of this very first tech free, wifi free event for comms professionals. 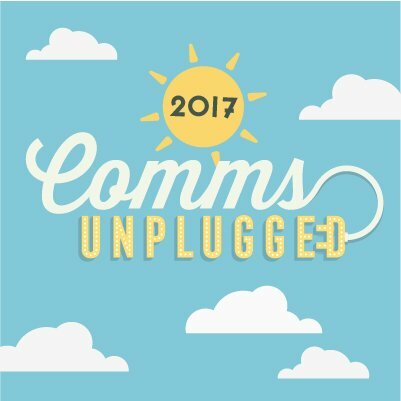 As well as settling down to hear from top class speakers and up and coming musicians in the peace of the Dorset countryside, we’ll be facilitating a session to explore how unplugging the tech, engaging people and working across organisations and users can set you up to successfully transform through digital. We don’t think there’s been an event quite like this and hope that this will be the first of many. The comms person’s retreat. An opportunity to chat, listen and learn away from email, wifi and tech. With live music, food and an overnighter in a beautiful campsite in Dorset. We’re really pleased we can do our small bit to help make this happen – hope to see you there!